The Master Control Panel 6500 replaced the Master Control Panel 5500. The changes between these two models were minor indeed when compared to the differences between the 5500 and 5000 models, or between the Master Control Panel 5000 and anything else that was available at the time. The need for the change was again caused by the updating of the associated Beomaster, though on this occasion the changes were made to aspects of the receiver that did not greatly affect the remote control system. It was important to keep the numbers matching however. Text copyright © Beocentral. Unauthorised reproduction prohibited. The most obvious change was that the panel was available in a choice of colours to match the rest of the Beosystem 6500. The white finish had been seen before as a limited edition to the Beosystem 5500 range, but now it became available as a standard model. Text copyright © Beocentral. Unauthorised reproduction prohibited. Technically, changes were minimal and were confined to changes to the software to keep pace with changes to the Beosystem 6500 and the other equipment it may be connected to. Text copyright © Beocentral. Unauthorised reproduction prohibited. The Master Control Panel 6500 was the last in the series of these impressive and versatile units. It was replaced by the Beolink 7000. 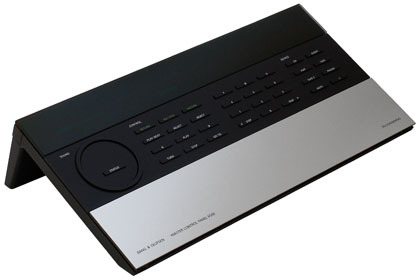 The Beolink 7000 was introduced while the rest of the Beosystem 6500 was still current, so not all Beosystem 6500s included a Master Control Panel 6500. Text copyright © Beocentral. Unauthorised reproduction prohibited.